Before venturing off into new territory, I wanted to share an experience I had a couple of weeks ago, while walking Jezzy in the morning. 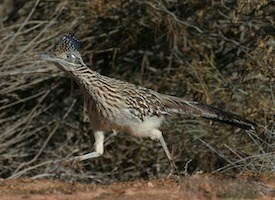 In the road were a couple of Greater Roadrunners, one of the Arizona birds I love to see. (not my photo). These birds were near a backyard wall, which was probably four feet high. Suddenly, one of the birds just leaped up onto the wall. It didn’t fly up – just jumped – straight up! I was astounded. When I related this story to an Arizona friend, he told me that if I was lucky, I would see some roadrunners running at full-tilt boogie and coming up on a ditch. Instead of running down into the ditch to cross, they will lower their heads, spread their wings out, and simply jump the expanse, hit the ground running, and continue on. Oh man, I WANT to see this! This has been a good hiking week. 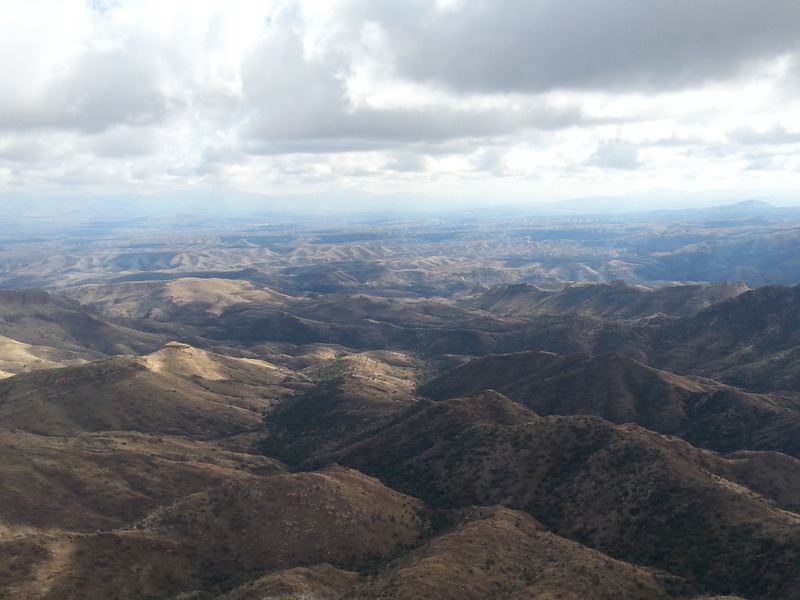 Last month, when we camped at Buenos Aires National Wildlife Refuge, we learned of a Ranger-led hike that goes into Brown Canyon, an area unknown to us. map here Brown Canyon became part of the Refuge in 1998, and part of the purchase agreement was that access to the Canyon would be limited, and every effort would be made to preserve its pristine nature. We were pleased to be able to hike in such a special place. 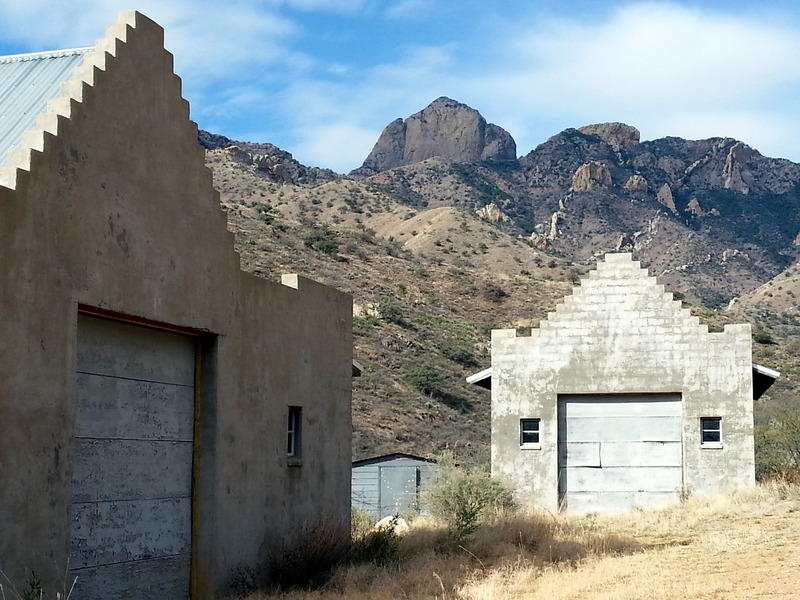 The western edge of the Canyon bumps up to the edge of the Tohono O’doham Reservation, where Baboquivari Peak dominates the landscape. 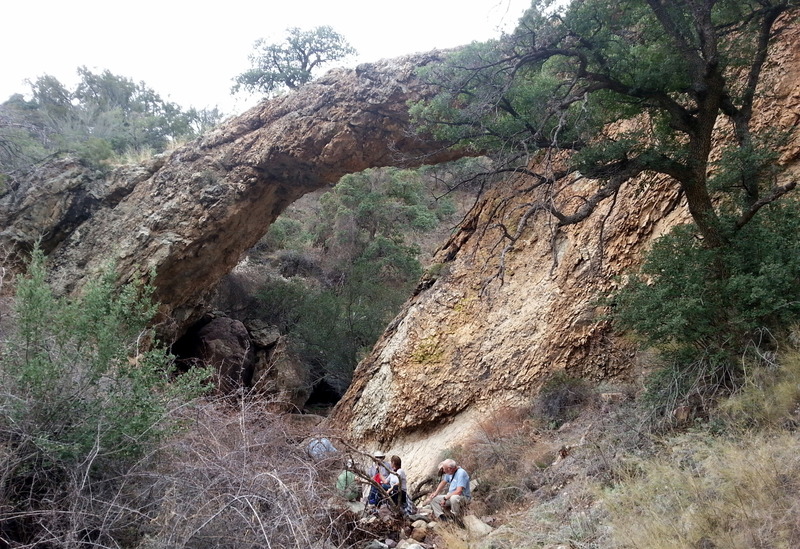 We met our hike leaders, NWR volunteers Craig and Evelyn at the entrance to the Canyon Trail. 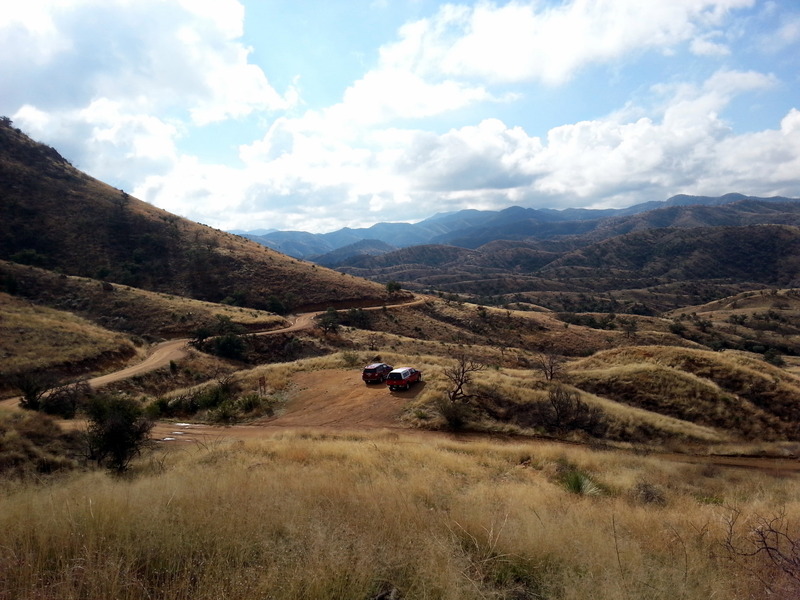 The dozen hikers arrived in separate vehicles (the six of us from Michian all car-pooling from Green Valley), and we headed down a very dusty, bumpy road to the hike start. After twenty endless minutes, we arrived at the Environmental Education Center of Brown Canyon. 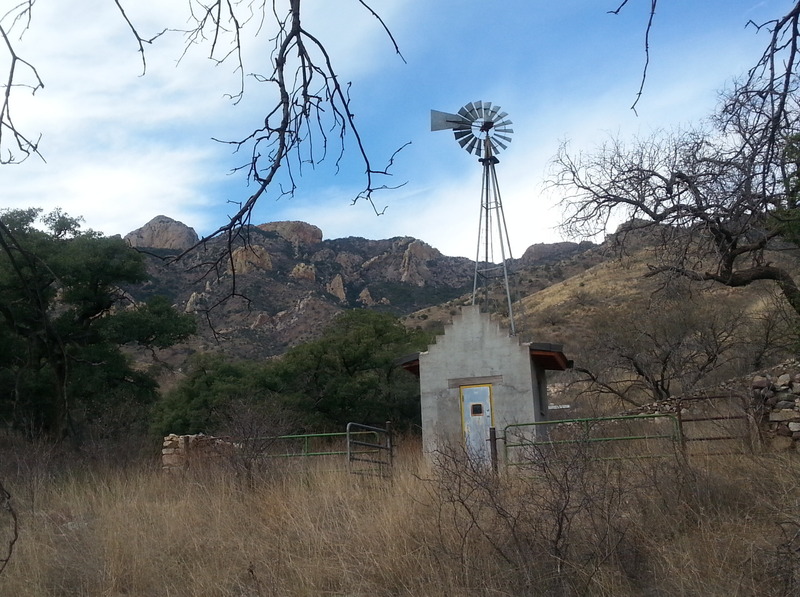 This rustic camp-style facility can sleep up to a dozen people, who might be staying there for trail work, training, or other educational programs. 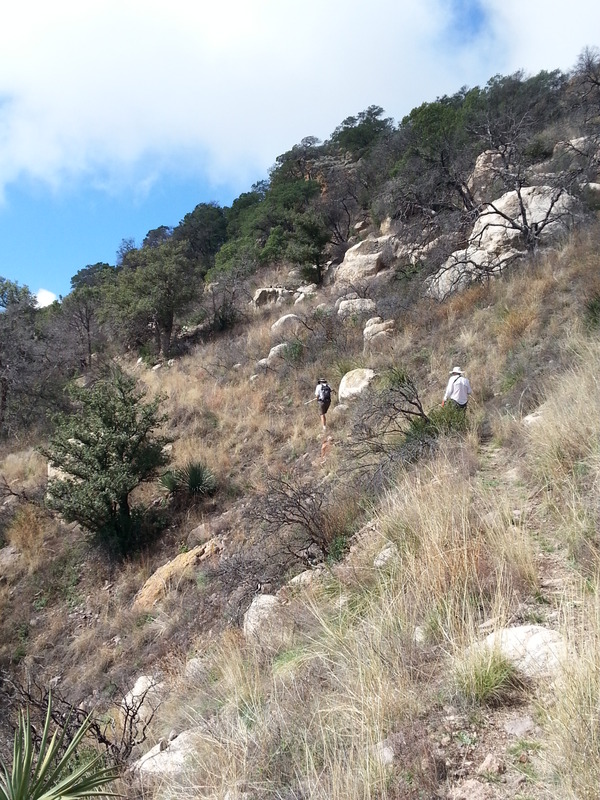 We all agreed that it would be a delight to stay there and chop mesquite or do trail work. The Center was loaded with National Park-style charm. 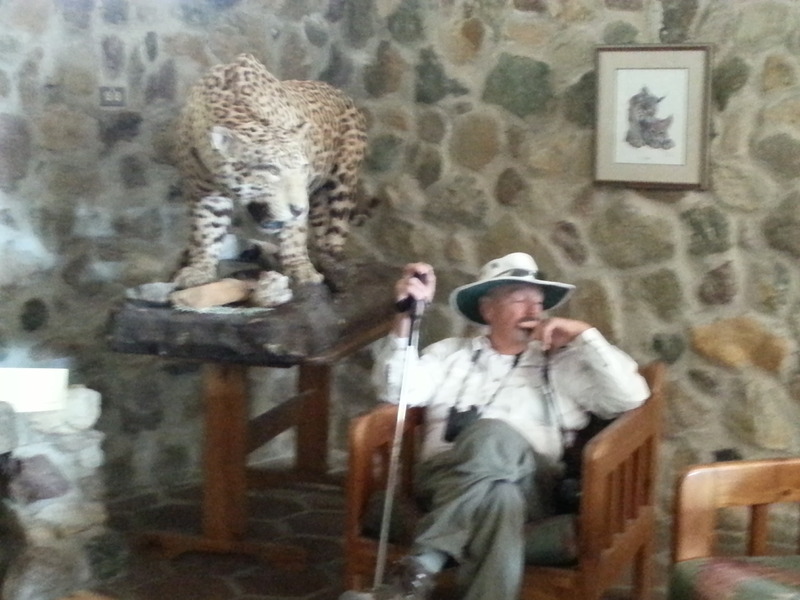 There’s even a stuffed Jaguar in the living room, which had been confiscated by Customs when it was illegally imported. 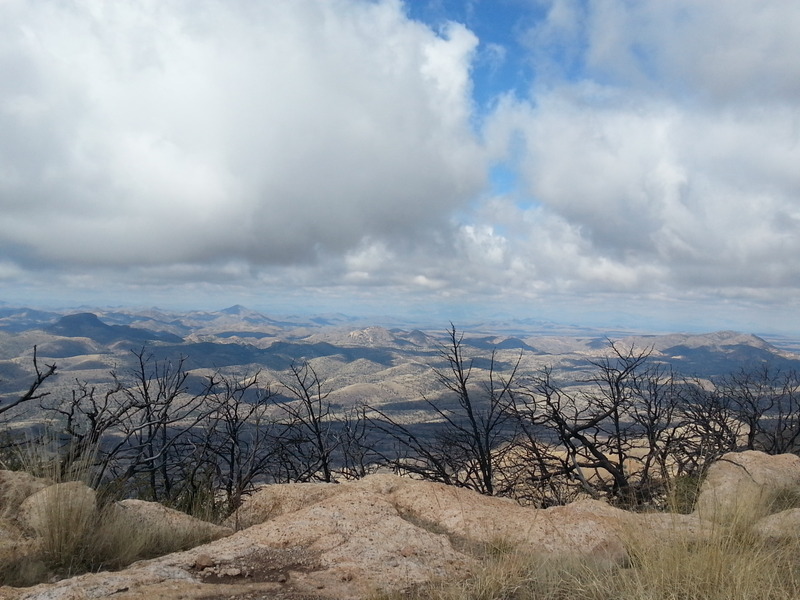 The hike was an easy 4-mile round trip walk, with just a bit of elevation. 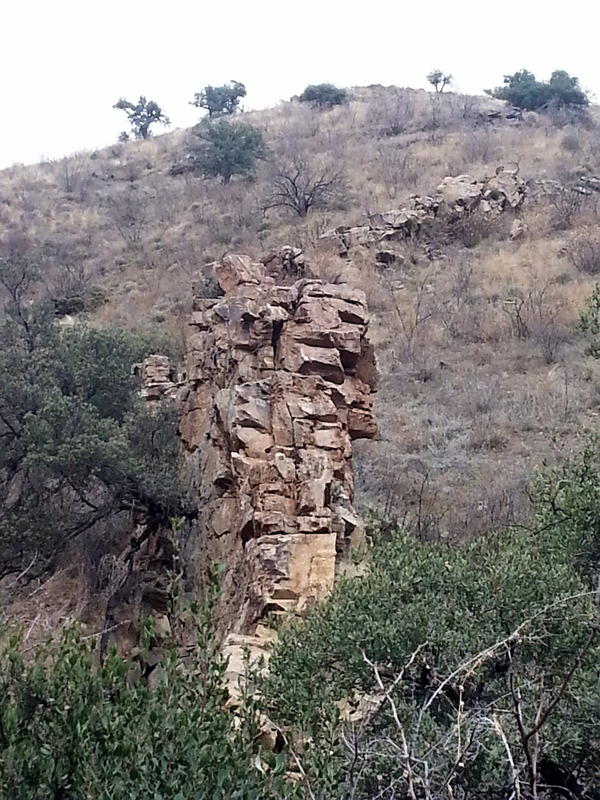 It was fun to actually have someone point out some of the features that we were seeing – particular varieties of cactus that we might not have noticed, rock formations, or other plant/animal peculiarities. Although I didn’t get a photo, we did find some perfectly round wasp galls, each about the size of a golf ball. 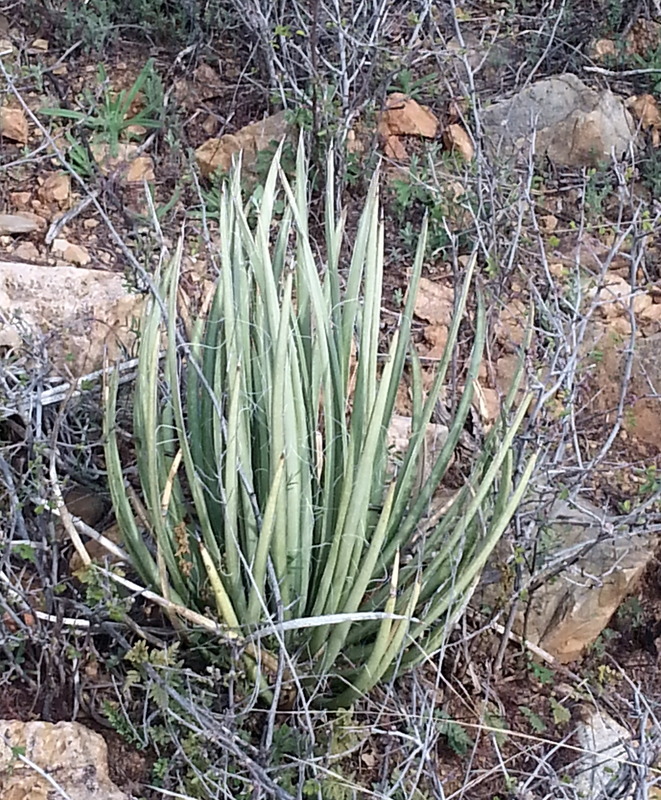 My favorite plant specimen was the shindagger, an appropriately-named desert plant. 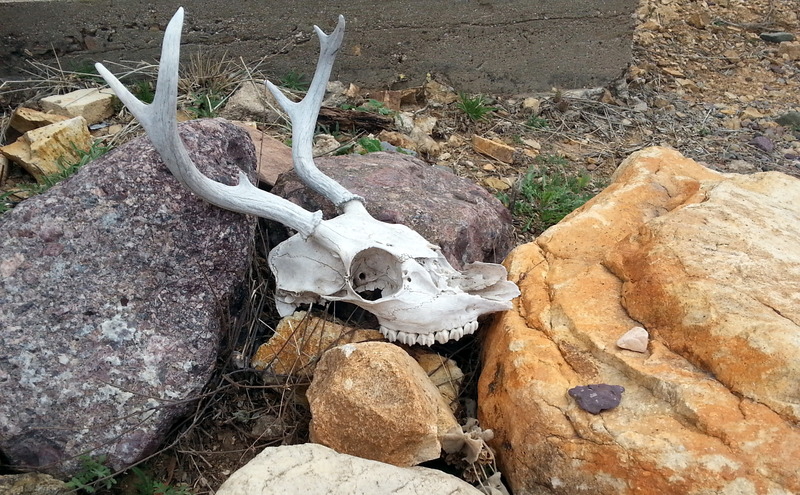 Our guides had a photo of a friend who stumbled into one – it wasn’t pretty. Craig mentioned that during their hike leader training, they were told NEVER to back up when talking. Everything in the desert is ‘armed’, and removing thorns can be a painful process. 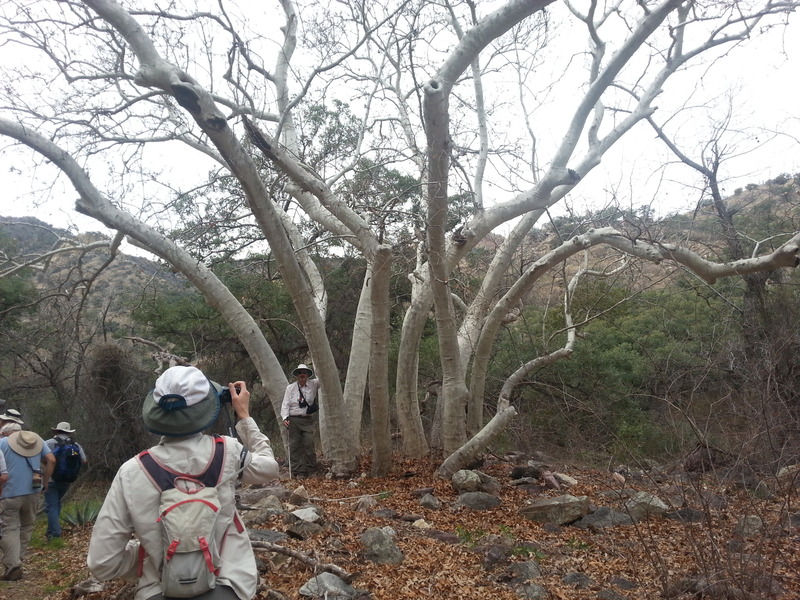 We passed by this enormous sycamore. 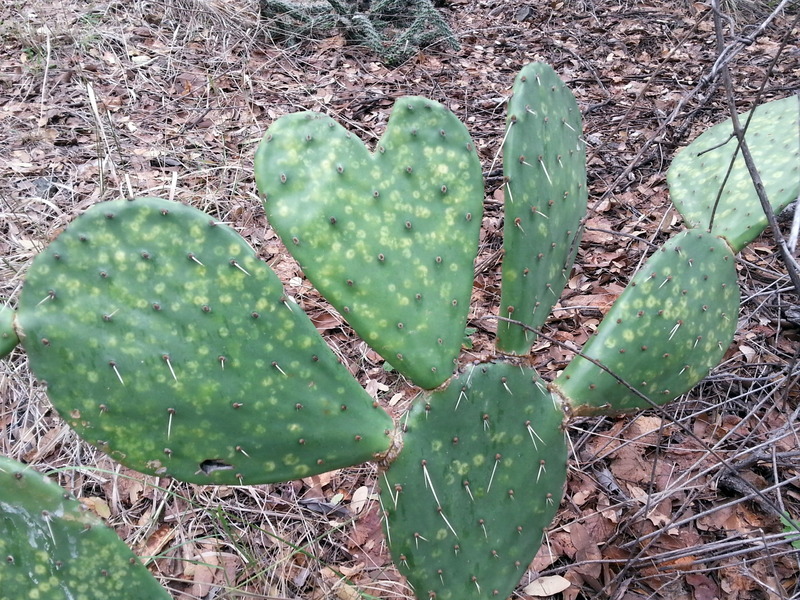 And this appropriately-shaped Prickly Pear cactus (it was Valentine’s Day). 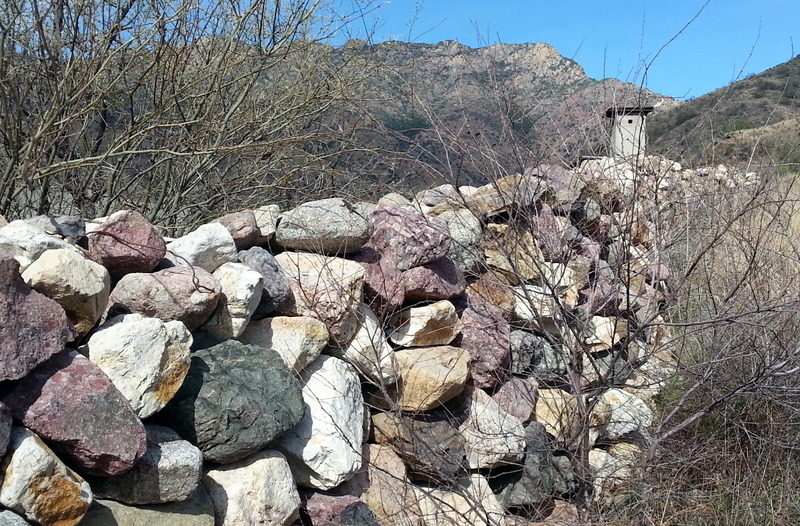 Along the trail were many feet of rock walls, built by the ranch hands of the former property owner. They were beautiful, but seemed to have little purpose – starting and stopping without any discernible reason. 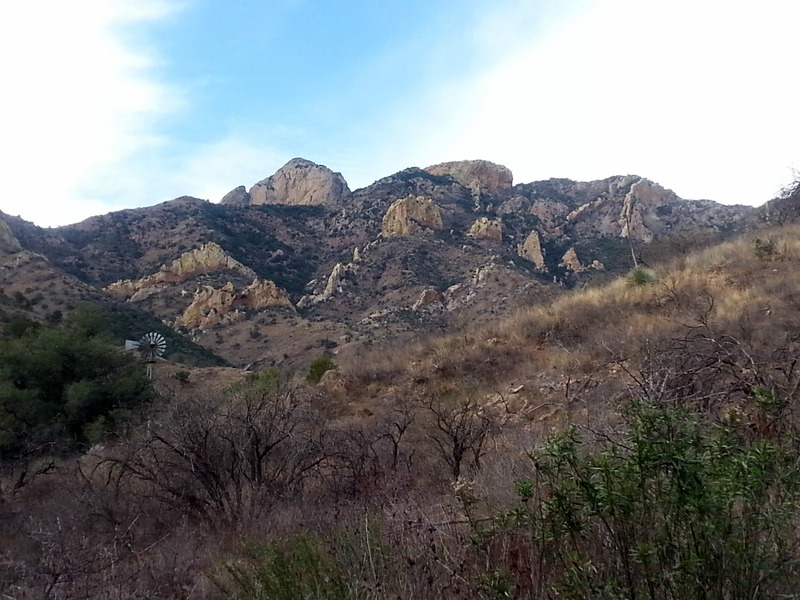 What I loved though was how they echoed the natural rhyolite rock formations in the area. 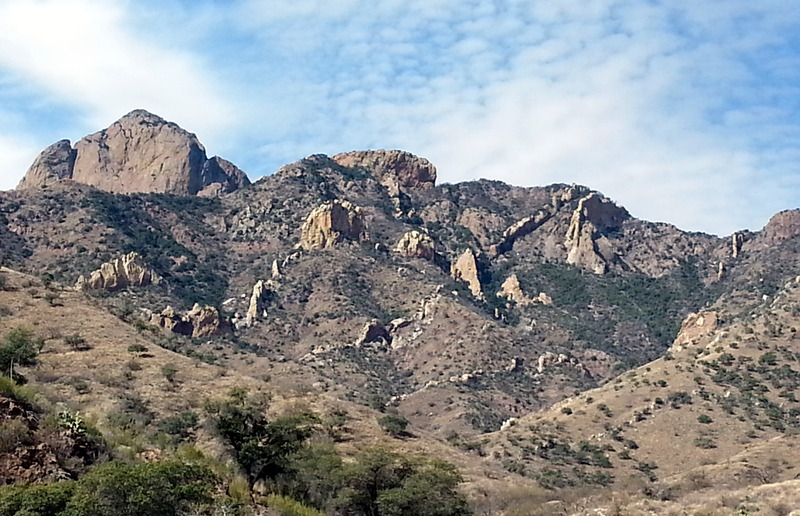 Baboquivari Peak is on the left in this photo. Lunch was beneath of small arch, which is in the lower center of the above photo. It was a gorgeous, informative hike. If you’re in the area, I’d recommend it – reservations are required. Call 520-823-4251 for info. There is a $5/person charge. We are indeed lucky to be able to experience such a gorgeous place. 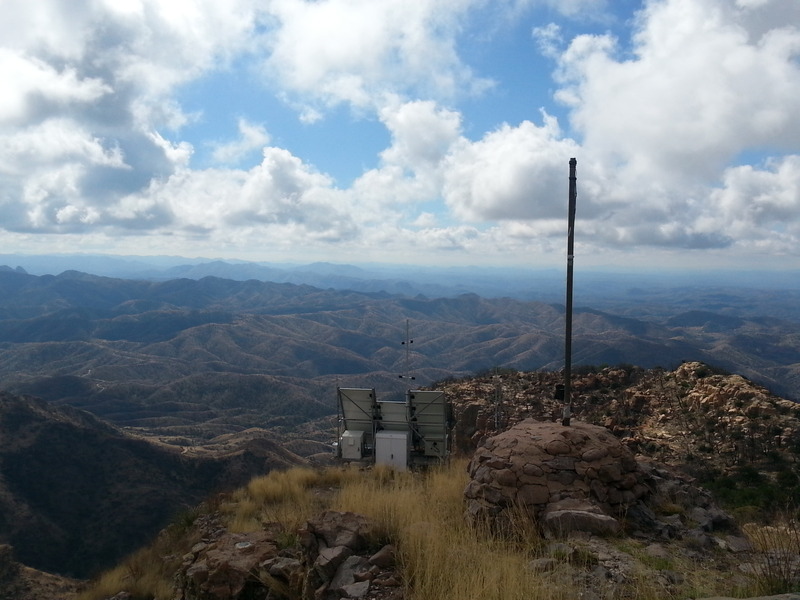 This entry was posted in Arizona, hiking, retirement and tagged Arizona, Atacosa Lookout, Atacosa Trail, Brown Canyon, Buenos Aires National Wildlife Refuge, hiking by Judy Crankshaw. Bookmark the permalink. I hope you do get a chance to visit the southwest. There are amazing photographic opportunities out here. 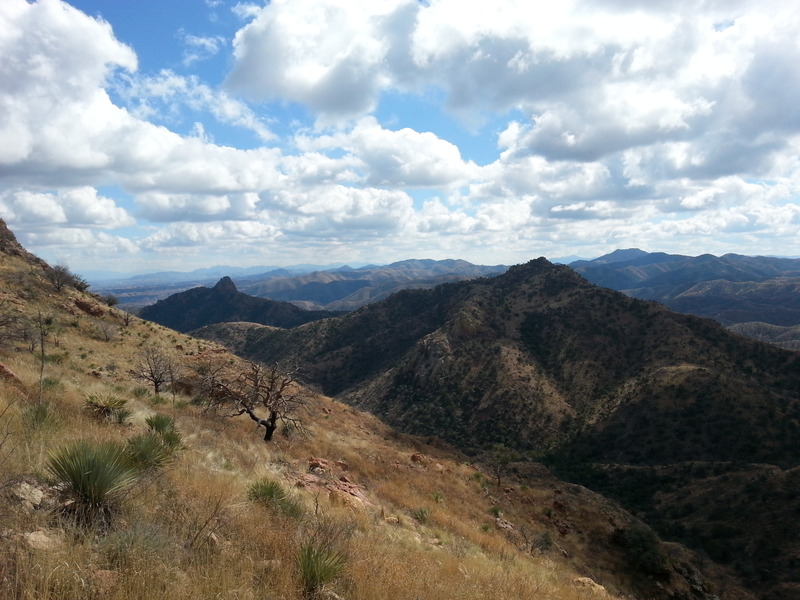 Greater roadrunners, shin diggers, and stunning scenery. Another WOW! I do so wish I could still hike! But seeing your photos is the next best thing! Thanks, Sharon. I sometimes wish that I were more patient, and take greater care to make my photos really shine. It’s so starkly beautiful out here – I really don’t do it justice. Thanks, Judy! 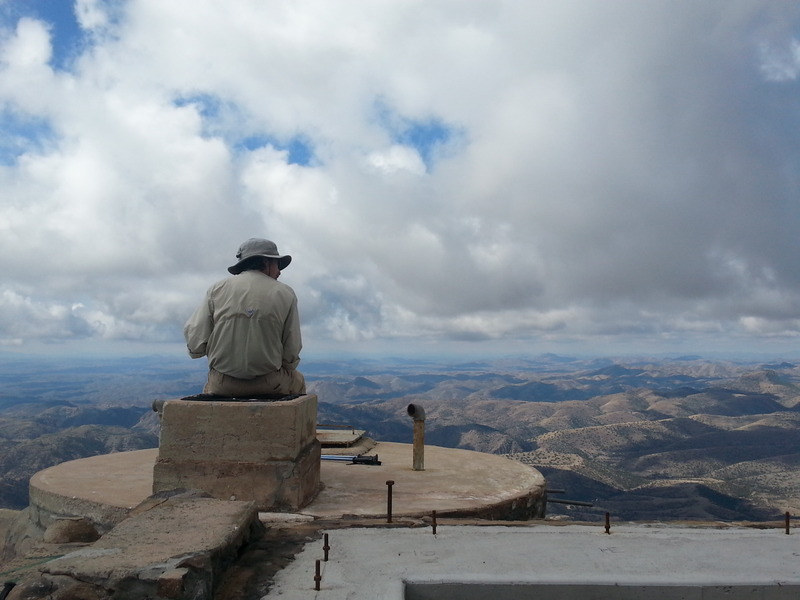 Great hike info and gorgeous photos. Thanks, Lynne. Seems impossible that we both have to think about heading east so soon, doesn’t it? Thanks for checking in, Ingrid. Thanks, Alison. It’s a great to be able to see these places. Great shots, Judy. 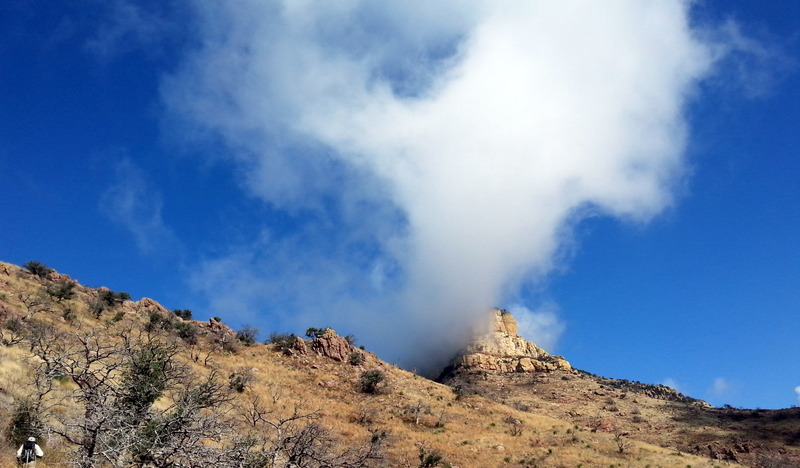 Love the third to the last with the cloud wisp over the rock formations. Thanks, Ken. That was the last of the rainclouds leaving the area. The lower part of the trail was a sticky, wet mess!